watermelon – Hello! My name is Kelly. Summer inspiration: Watermelon + sunshine = summer. Bright pink watercolor and spattery black ink. 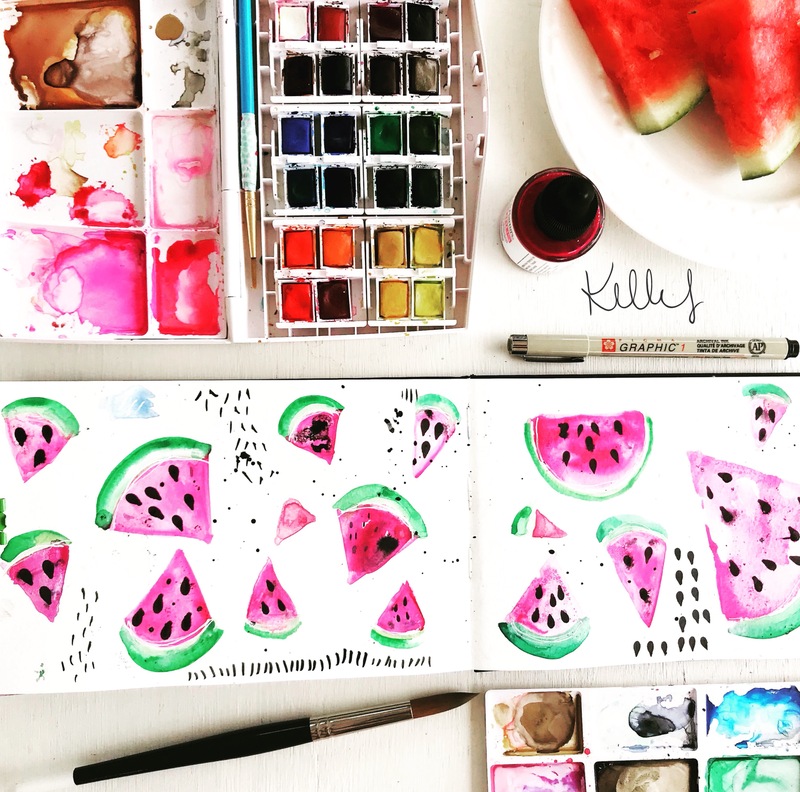 Watercolor watermelon pattern, watercolor and ink.